The following is a guest post from Dianne, who lives in Brisbane Australia. 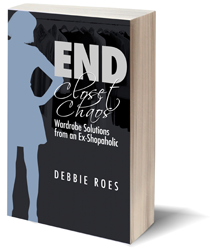 This is the story of Dianne’s battle with clothing chaos and how she’s conquering it through the use of an unconventional capsule wardrobe that she created herself. I love finding bargains. After years of not having money to spend on myself as a stay-at-home mum with three children, I got a part-time job and found that I finally had some extra money to spend on me. This coincided with my losing 12 kilograms of weight. I then had a new figure, a new life, and some disposable income to spend on clothes. After years of strict budgeting, I didn’t spend that much at first. I slowly started to cultivate my “boutique,” my own shop in my home. I began to buy more and more, and suddenly I became the person who went shopping for sales and came home with bags full of clothes. At some stage, it occurred to me that I was bringing in so much clothing that I couldn’t possibly wear it all. However, I dismissed this thought, as I was stocking my own private store. I shopped at sales and came home with bags full of clothes. The following is a guest post from Susan B., who is sharing her journey as part of my “Stories of Recovery” series. Susan is a financial sobriety evangelist. 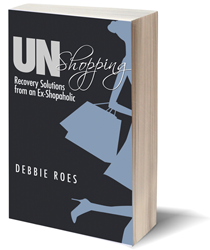 Her website, Getting Out from Going Under, provides guidance for people who are recovering from compulsive spending, shopping, and debting. 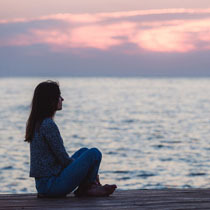 Her recent book, “Getting Out from Going Under: Daily Reader for Compulsive Debtors and Spenders,” is filled with practical tips, inspiration, and a thought for each day to encourage and motivate you to stay on the path of recovery. If you would like to be profiled in the “Stories of Recovery” series (you can be anonymous if desired), please connect with me to share your thoughts. Is bill paying a time of extreme stress for you? My name is Susan B. and I’m a recovering shopaholic. More precisely, I’m recovering from an addiction to spending and buying that nearly killed me. I’m also a member of Debtors Anonymous (DA), a 12 step program (like Alcoholics Anonymous) for people who are out of control with money, with or without debt. And I haven’t had a shopping binge since April 25, 2009.